Located in the Beautiful Spallumcheen valley in the North Okanagan. We are a new farm in development; embracing solid animal husbandry without the use of pesticides. We raise Painted Desert Sheep and Black Copper Marans Chickens. We are dedicated and passionate about the breeds of animals we have chosen to raise. They are treated with the utmost respect and the greatest of care. We are members of the professional organizations that promote and register our breeds. We strive to sell only the best quality livestock, and only animals that meet the breed standard, are sold as breeding stock. The Painted Desert Sheep Society is one of the registering bodies for the Painted Desert Sheep. 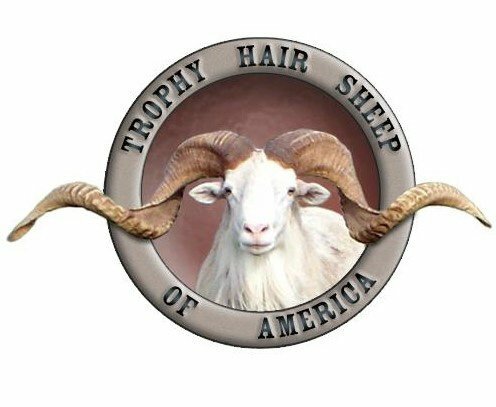 The Trophy Hair Sheep of America has separate divisions for various close relatives of hair sheep known for their superb horn genetics. Included are Texas Dall, Mouflon, Black Hawaiian, Desert Sand, Desert Dragon (polycerate), Corsican and Bighorn Crosses with other divisions pending. I have chosen to join The Marans Chicken Club USA because they are vested in this breed; its recognition and advancement. Most of the Marans breeds are a work in progress. We are hoping to add the Birchen, or Black-Silver variety to our farm in the future. Please click on the logo to go directly to their website. I am also a member of the Marans Club. This club is working towards the improvement, advancement and education about this breed in North America. Recognized varieties of Marans are the Black Copper Marans, Wheaten Marans, and the White Marans. Many other varieties are in progress. We are all dedicated breeders working towards the American Poultry Association's Standard of Perfection for this breed.